Belly dance today is a modern incarnation of various dance forms with roots in the classical and folkloric dances of the Middle East, Central Asia, North Africa, and India. 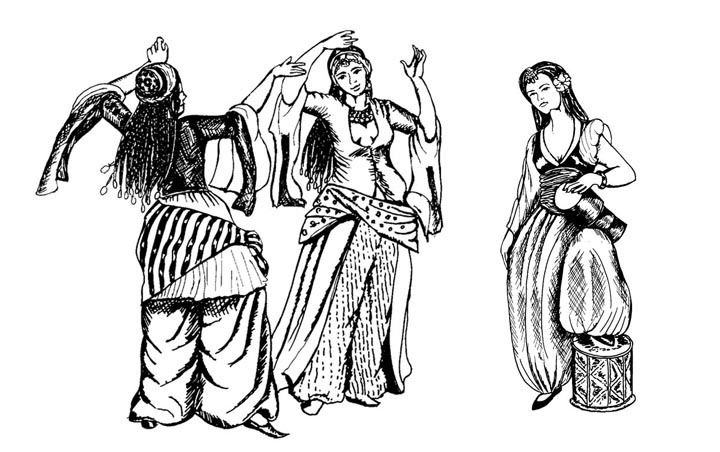 The origin and history of belly dance is much debated. It is speculated that the Romani people (also called “gypsies”) learned dances from different regions as they traveled and spread those dance styles and techniques through the Middle East, Central Asia, North Africa, India, and Europe. Different areas developed their own distinct styles of what is now known as belly dance. Belly dance was brought to the U.S. in the 1890s during the Chicago World Fair where a Middle Eastern dancer nicknamed “Little Egypt” performed. The media took hold of the “shocking” dance form and portrayed a fantasized version of belly dance. This portrayal influenced the styles and costumes of dancers in the Middle East who were performing in Night Clubs for tourists that expected to see the fantasy version of belly dance they were used to in western films. In the meantime, belly dance continued to spread in the U.S. and gained in popularity during the 60s and 70s. 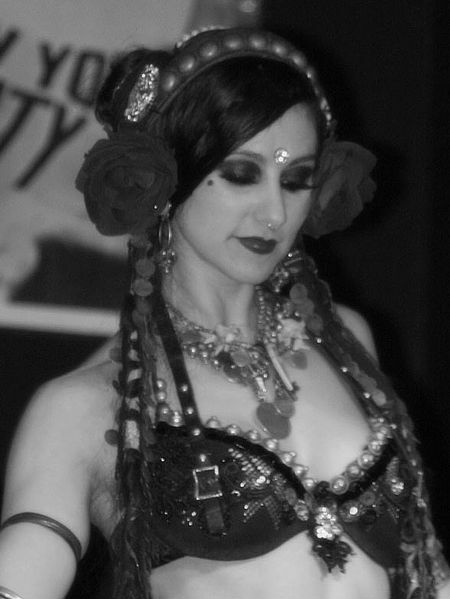 Tribal style belly dance developed in the United States when Jamila Salimpour started Bal Anat in 1969. This troupe developed their own “re-creations” of tribal dances with more earthy, traditional looking costumes. One of its members, Masha Archer, taught Carolena Nericcio who went on to found FatChanceBellyDance and develop American Tribal Style (ATS). ATS uses a system of signals and cues to allow dancers to improvise together in a group. Some dancers were influenced by both Carolena and Suhaila Salimpor (Jamila’s daughter) and began to fuse ATS and traditional belly dance with other dance forms and develop what is known today as Tribal Fusion. Two of the founders of this style are Jill Parker and Heather Stants. 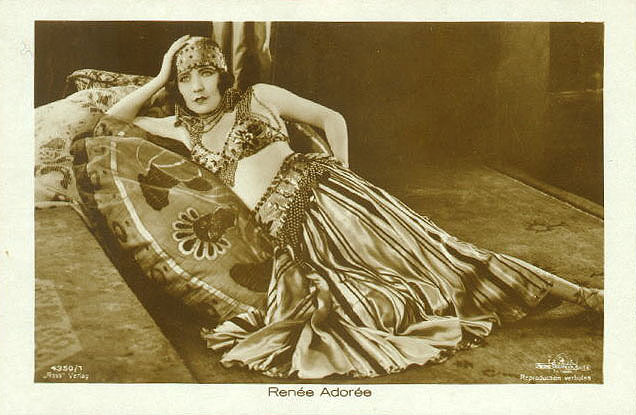 Rachel Brice, also an early founder in this style, began touring with the Belly Dance Superstars which brought international attention to this new style of belly dance that is now practiced worldwide. Today there are many styles of belly dance all over the world, including Raqs Sharqi/Traditional, American Cabaret, Folkloric, and Tribal. Videos of well known dancers in different styles can be found on youtube.